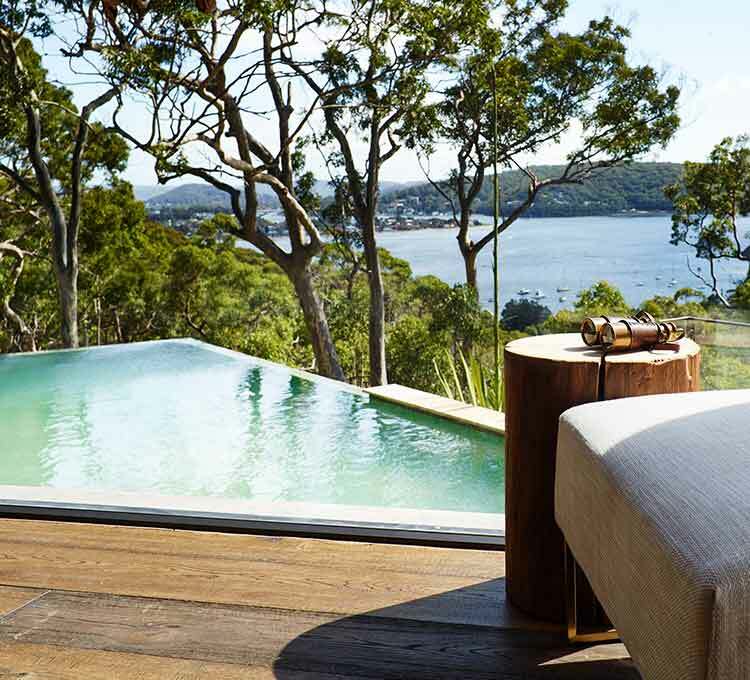 Pretty Beach House is the epitome of relaxed Australian luxury and elegance for those looking for an exclusive getaway, just outside Sydney. 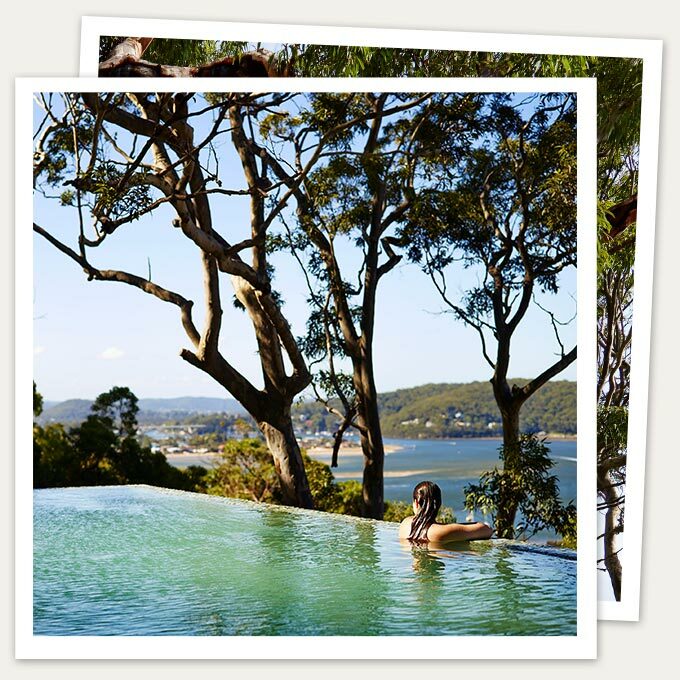 A serene escape nestled within the heart of the NSW Bouddi National Park high above Pretty Beach, this stunning world class hotel is an easy 90min drive or exhilarating 20min seaplane/helicopter flight from Sydney, the gateway city to Australia. With only four pavilions this is Australia’s most exclusive hotel complete with a fine gastronomic all-inclusive hospitality offering striking the perfect balance of intimacy, personalised service and fine dining. Intimate and laidback, Pretty Beach House sleeps a maximum of eight guests in four luxurious pavilions. In-pavilion comforts include a premium king beds dressed with fine Italian hand-loomed linens, premium bathrobes and towels, fireplace, underfloor-heating, heated plunge pool, double outdoor day bed and full mini bar stocked with premium wines & spirits. All dining, snacks and most beverages are included as part of the wonderful hospitality. Also included is an open bar stocked with premium wines, beers and spirits, pavilion mini-bar, unlimited wi-fi throughout the property, an aboriginal welcome ceremony, and, complimentary mountain bike hire. 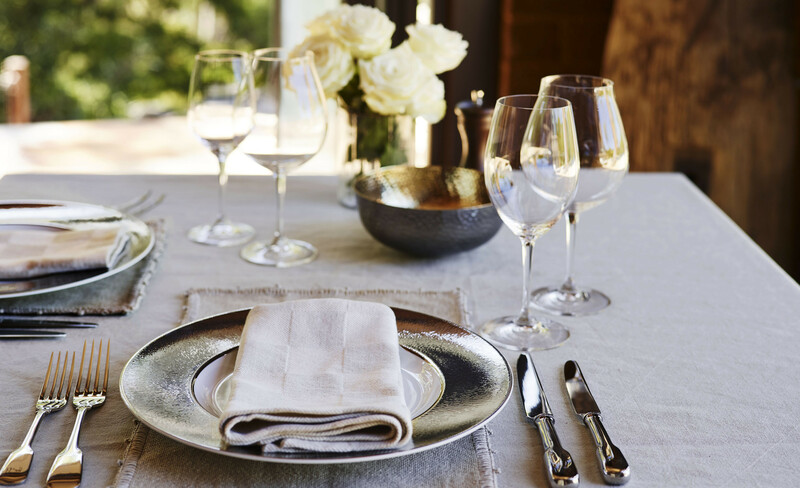 Wine and dine on the properties luxurious private boat or in the spectacular dining room with authentic, seasonal menus tailored to suit, thoughtfully prepared by your chef. Guests will de-stress in the Bouddi Day Spa with treatments inspired by traditional Aboriginal healing techniques. After which you may enjoy champagne and oysters at the bar whilst absorbing the calming energy of the area, and taking in the captivating coastal views and that are quintessentially Australian. The hotel is completely surrounded by natural beauty including several glorious golden beaches and picturesque bays, all easily accessible from the property. Guided walking tours or cultural experiences can be arranged along local walking trails direct from the hotel, meandering over spectacular coastal sandstone cliffs and through the wildflowers and coastal flora. Fascinating dreamtime stories and Aboriginal rock art dating back an incredible 8,000 years, can be experienced on the property. Guests may choose to dine privately within their own pavilion, in the main dining room, al fresco on the beautifully landscaped property or even on the hotels boat.